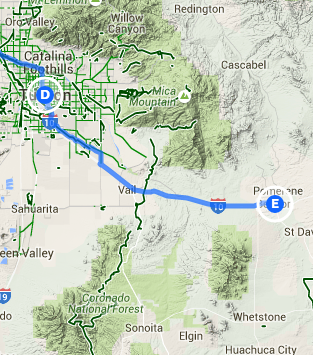 Trip Log – Day 203 – Tucson, AZ to Benson, AZ | How Will We Live Tomorrow? In keeping with Tucson’s sociability, my hosts Claire and Bob rode me out of town along The Loop, the city’s elaborate system of cycle paths. Beyond Tucson and Vail, Marsh Station Road proved to be one of the most striking stretches of desert terrain on my journey. 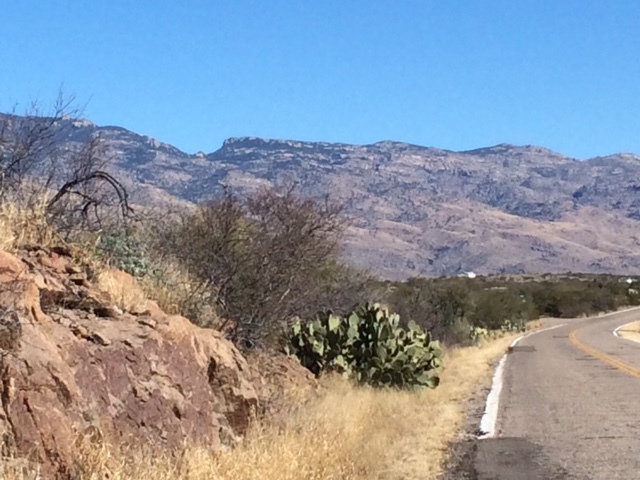 The mountains around Phoenix and Tucson are very different from what I am used to in the East or the Rockies. 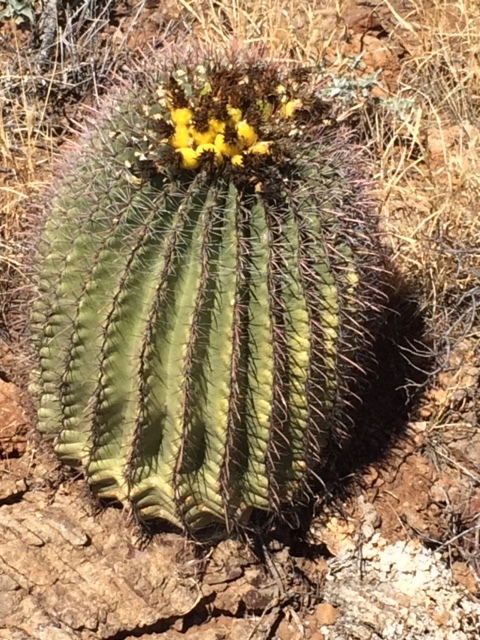 They pop out of the Sonoran Desert without any directional orientation. Bob explained the area is called ‘Sky Islands’ because each mountain cluster has a discrete ecology and microclimates vary as elevations rise. 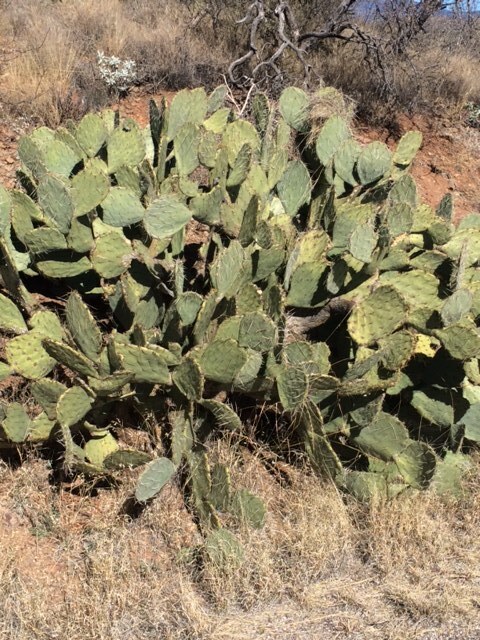 Certain plant and animal species are unique to one grouping because the plains between are too wide for species to mingle. When Marsh Station Road joined I-10 for the ten-mile stint into Benson my practice of checking on anyone stopped by the side of the road proved beneficial. I passed an aging pick-up stranded on the shoulder. “Everything good, here/” The woman of the couple explained the truck overheated. “Do you have any water?” Turns out I did, and gave it to them. Nice to know a cyclist can help a motorist in distress. I got to Benson in time for a few writing hours in the local McDonald’s, which proved to be a friendly place. I chatted with well-tanned winter visitors, an elderly woman helping her much older father sip his fountain drink, and a grandmother struggling between an infant in a high chair and a toddler insistent on sitting at a high-top. A guy with longish hair and maybe thre e teeth told me that the local St. Vincent de Paul’s Society put up folks who are stranded. I thought about the couple in the pick-up, but then realized he was referring to me. Less than a week back on the road, and I must already be looking scruffy. I stayed with a quiet man who lives on a spread outside of town and offers his motor home to touring cyclists. The night sky over the San Pedro River was rich in stars. This entry was posted in Bicycle Trip Log and tagged Benson AZ, Marsh Station Road, McDonald's, Sky Islands, Tucson AZ. Bookmark the permalink.